Simple has never been so gorgeous! 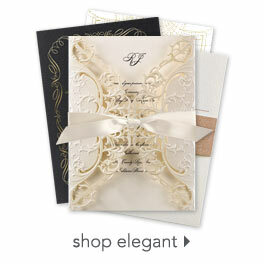 These luxury wedding invitations feature your wedding details stamped in your choice of brilliant foil color on thick cotton paper for an impressive finish. Personalization Options: Wording is printed in your choice of foil colors and fonts.